I have worked for many years with fledgling entrepreneurs, start-ups and young companies, but also with medium-sized enterprises. I am involved in the financing of innovative projects or am active as a partner. The effectuation method of Saras Sarasvathy is one of the techniques I employ in supporting young companies . 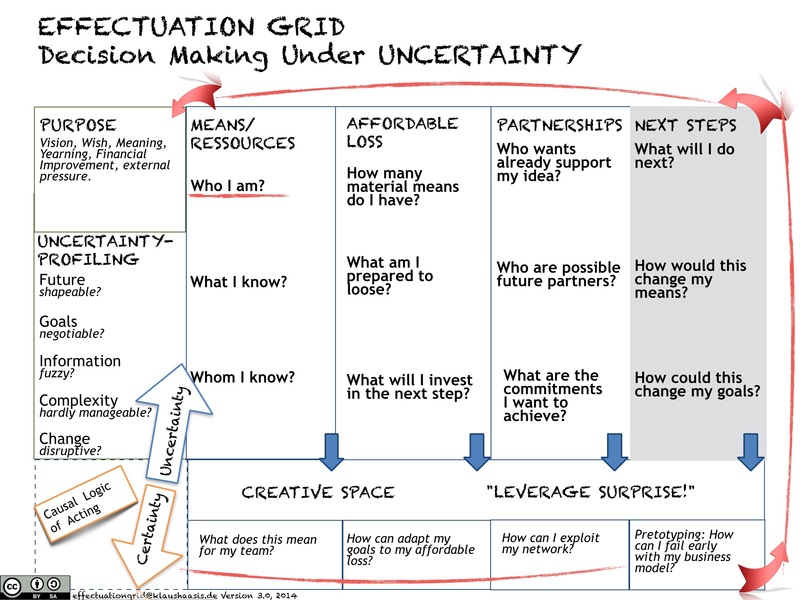 I was a member in a group of uncertainty pioneers asked to complete – and also structure – the first qualification as Effectuation Expert in Europe, which led to the emergence of the Effectuation Grid. I am also active as a mentor, working for DO SCHOOL in Hamburg, Training and Learning Institution for Social Entrepreneurs, among others. I sit on a variety of supervisory boards, advisory boards and committees; for instance I was deputy chairman of the supervisory board at August Koehler AG in Oberkirch, global market leader for thermal paper and now active in the field of renewable energy, for ten years. Today, among others, I am a member of the supervisory board at Struktur AG in Stuttgart. I seek to network and promote international experience pools. This is why I am a member in the European Connect Investors Club and the BARS Business Angel Network in Stuttgart. I maintain friendly ties with Hanse Ventures BJS GmbH, an incubator in Hamburg. I am chief executive officer at Combine Innovation GmbH, which I use primarily as a vehicle for my investments.